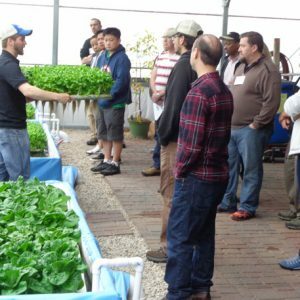 Sessions alternate between classroom lectures, demonstrations and hands-on greenhouse sessions. Presentations are interesting and dynamic. Attendee questions and participation is encouraged. 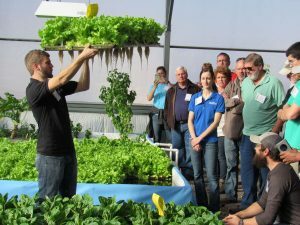 Attendees get to practice what is taught hands-on in the greenhouse. The dynamic is fun and exciting, with great food and camaraderie. 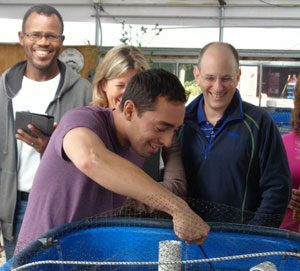 Activities include fish feeding, water quality testing, plant seeding and harvesting and much more! 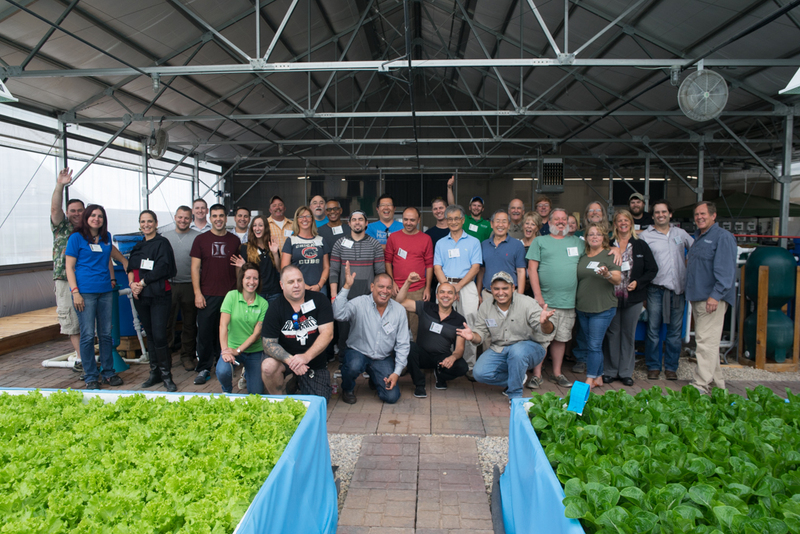 Read the full description of the 3-day Aquaponics Master Class. Nelson and Pade, Inc.® reserves the right to refuse registrations at its discretion. Cancellation Policy: Once registered, if something comes up and you can’t attend the Master Class that you registered for, please let us know so we can accommodate you in another upcoming class. There will be no charge for transferring your registration as long as you let us know 7 days or more before the class. If you cancel with less than 7 days until the Master Class and do not reschedule, there will be a 50% refund. All other circumstances will be determined on a case-by-case basis. 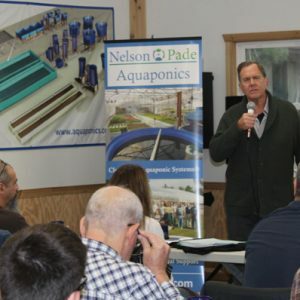 Photo Policy: As an attendee of the Aquaponics Master Class®, I agree to the following: I hereby give permission to Nelson and Pade, Inc. to use my name, photographic likeness and written comments about the workshop in all forms and media for advertising, trade, and any other lawful purposes. 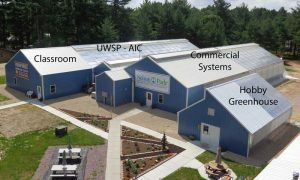 I also hereby assign full copyright of these photographs to Nelson and Pade, Inc.® together with the right of reproduction either wholly or in part. I agree that I will not make video or audio recordings of, or during, the Aquaponics Master Class®. If you have needs that require special assistance, please notify us at least three weeks in advance of the program date.